With 12 years in business and our owners 28 years of combined experience in construction services, Capital Real Estate Construction is the insured roofing contractor you need for all of your repairs or replacements. Our OSHA compliant roof installation process includes the necessary man power, equipment, and professionalism that you deserve. 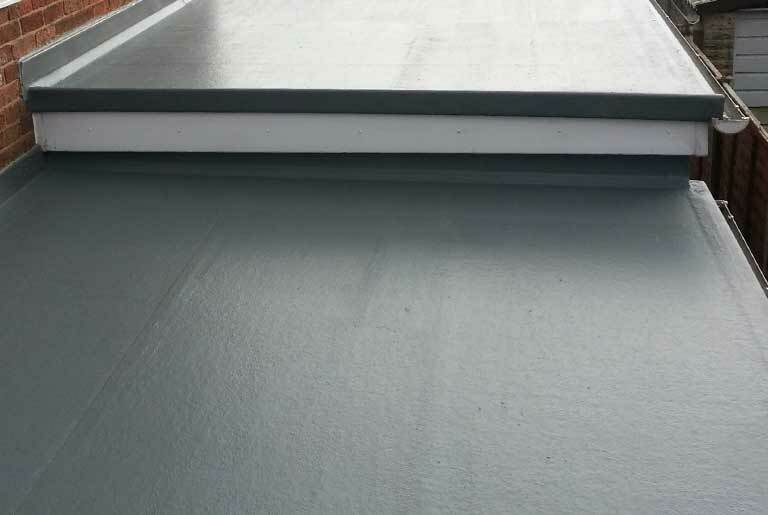 We guarantee your roofing repairs or replacement will be done on time and within budget. Need a box gutter replaced or repaired? No worries! We have the techniques and know-how to tackle any updates. Our experienced roofers respect not only your area and yard but those of your neighbors as well. With superior techniques and unmatched professionalism, we guarantee your roofing job will surpass any expectations. Keeping your home safe from the elements keeps your family happy and healthy. The first place to secure a safe home is by taking care of the roof. Beyond just keeping the sun off your shoulders, a solid roof keeps the water out while gutters and downspouts direct the water away from the home. Water is a home’s number one enemy, and a broken gutter or downspout can undermine a foundation with just a single storm. This could end up costing you thousands of dollars in repair costs. Leaking gutters can also lead to a damp basement causing mold which may endanger your family’s health. 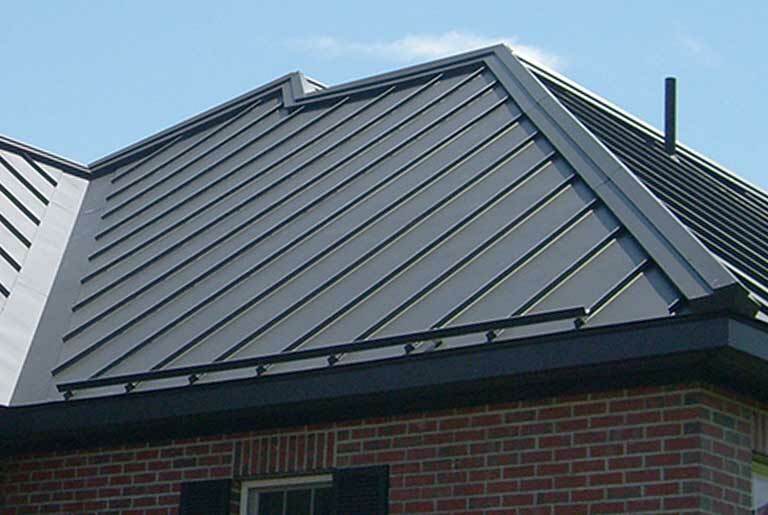 An updated or new roof can offer the protection and security your family deserves. The old adage proves true: a healthy home is a happy home. You may be asking yourself, “Do I need a new roof?” Consider checking for leaks in the attic after a strong rain; stains, mold, or mildew on interior walls; peeling outside paint; missing, cracked, or curled shingles all point to a possible issue with your roof. Still unsure and have some doubt? Take advantage of our free estimate with no obligation! It is critical to stay proactive on roof maintenance and upkeep to avoid the unplanned, middle of winter emergency fix that will undoubtedly cost you thousands. Capital Real Estate Construction specializes in shingled, steel, and flat rubber roofs. Roofing is a demanding job. 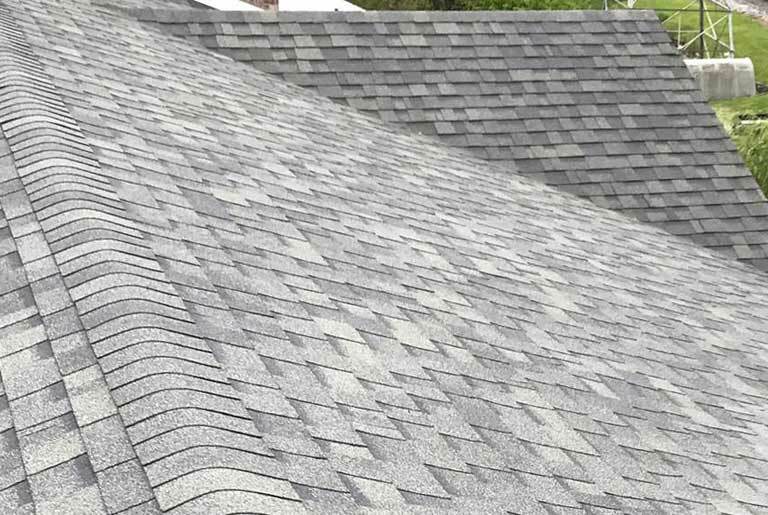 We have the skilled and knowledgeable roofing contractors to asses, fix, or replace any damaged gutters, downspouts, or shingled roof. We currently do not handle tile or slate roofs. Capital Real Estate Construction has proudly partnered with GAF for all of our roofing products which include but are not limited to: Hip and Ridge Cap Shingles, Leak Barriers, Roof Deck Protection, and Ventilation and Attic Vents. Contact our roofing specialists today to discuss the wide range of colors and styles available to you. Choose a professional roof installation company that treats your home like our own. Usher in a new era of health and safety for your home and family today. Protect your new roof with our Roofing Maintenance Program. The cost to maintain your roof once a year is $399. To have it checked in both spring and fall is $600 total.